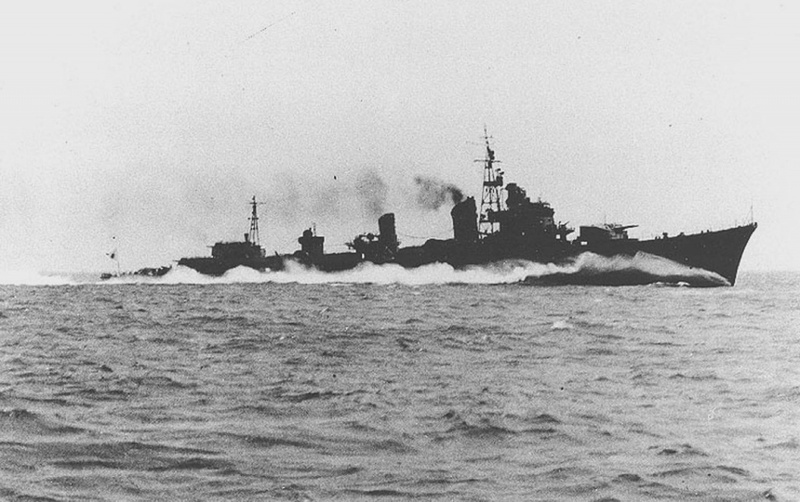 The Shimakaze was a powerful and experimental destroyer of the Imperial Japanese Navy. More unit, a total of 32 were planned to equip four squadron destroyer with 8 units each one. However, the limitations of industry power as well as the fact that this destroyer needed a high-pressure steam engine, which was experimental, made impossible to construct more units. The Shimakaze name means “Island Wind” and it is also consider as the most powerful super-destroyer built for the Imperial Japanese Navy during Pacific War. The surface armament included six 127 mm (5.0 in) dual-purpose guns. She also had conventional anti-aircraft and anti-submarine weaponry. She had a unique weapon feature in the IJN because the Shimakaze was the only Japanese destroyer to be armed with 15 torpedo tubes, each capable of firing the deadly 610 mm (24 in) Type 93 “Long Lance” torpedo. The speed was also one of the great features of this ship. She received the installation of an enormously powerful, high-temperature, high-pressure steam engine that was able to develop 79,240 shp (59,090 kW). Using the high-pressure steam engine she did not only become the fastest warship in IJN but also in the World. Indeed, the design indicated that she could make a speed of 39 kn (72 km/h; 45 mph), but on trials she made 40.9 kn (75.7 km/h; 47.1 mph). An impressive score. She was ordered in 1939, laid down in Maizuru Naval Arsenal in August 1941 and completed on 10 May 1943. On 11 November 1944 during the Battle of Ormoc Bay, and when she was serving as the flagship of Destroyer Squadron 2 under the command of Rear Admiral Mikio Hayakawa, she was attacked and sunk by American aircraft from Task Force 38.